The tax rules management in Thelia is a must-have feature. 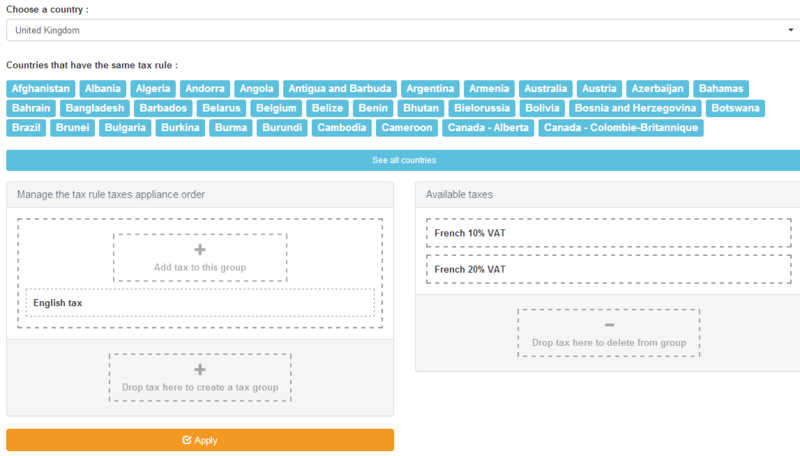 It will allow the system to automatically add tax to the price of the products on your website. This means that you can easily configure the tax rules and then create your products without applying the tax rules each time manually as the system will complete that for you. To edit the taxes and tax rules on your website, you first need to access the administrative area and navigate to the Configuration tab at the top menu. Locate the Product Catalog Configuration section and click on the Tax Rules option. To add a new tax on your website, you need to click on the plus-sign in the Tax section. 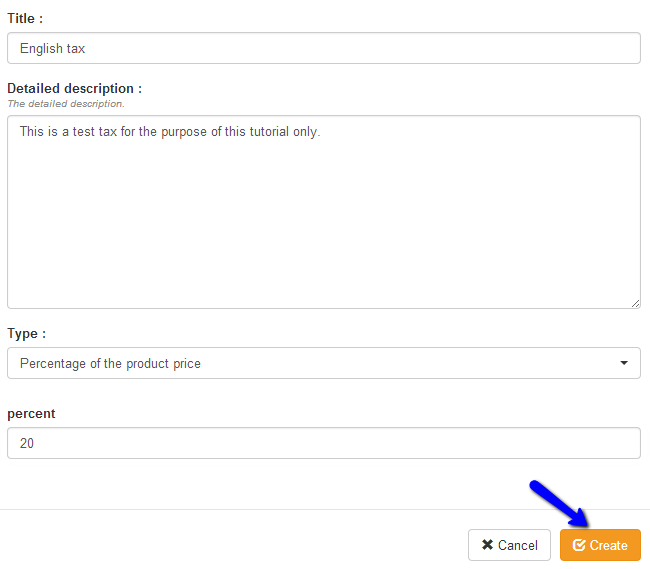 When you are ready with the details for the new tax, you can simply click on the Create button. To create a new tax rule you need to access the Tax Rules section on your website again. 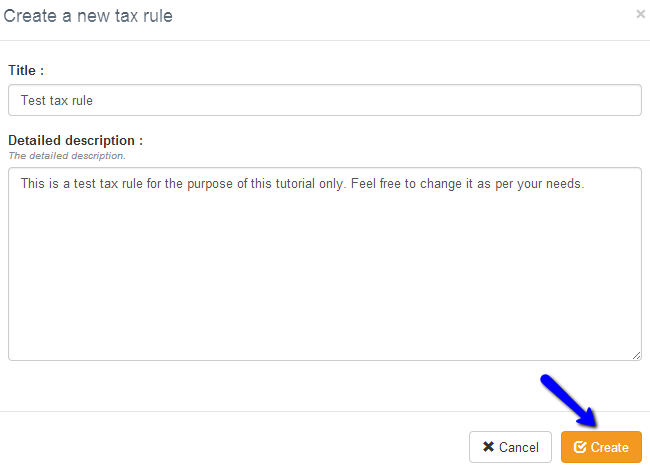 Click on the plus-sign in the Taxes Rules section on the page. When you create the new tax rule, you will be taken to a page, where you can add some additional options. Select the Taxes tab. When you are ready, simply click on the Apply button to keep the changes.